Disregard the fact that Jay-Z has told us in the past that he’s not a businessman, he’s a “business, man.” In truth, Jigga is one of the most successful businessmen in the world of hip-hop. That may have something to do with himself being an actual business but these are technicalities we’re not entirely willing to get into right now. Back in May of this year, Roc Nation announced they would be launching a television division and this looks to be one of their initial projects. Variety is reporting that Jay-Z’s company is partnering with Participant Media to be the executive producers of the television adaptation of Malorie Blackman’s series of novels, Noughts & Crosses. 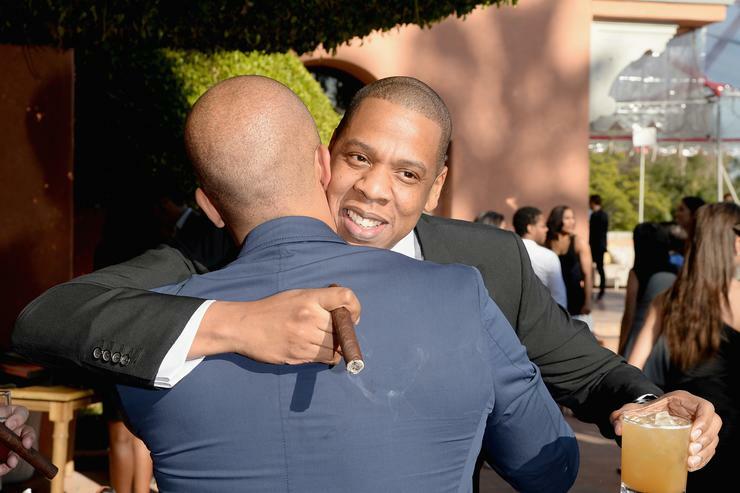 Roc Nation will also be handling soundtrack duties for the upcoming television series, which only makes sense. Noughts & Crosses will be set in an alternate universe where people of African descent are the ruling race and white people suffer discrimination and injustice. The series will air on BBC, following two young people, Sephy and Callum, who are divided by the color of their skin but united in trying to combat injustice. The TV show is being adapted from several novels written by Malorie Blackman and the fifth book in the series, Crossfire, is set to be published next summer.